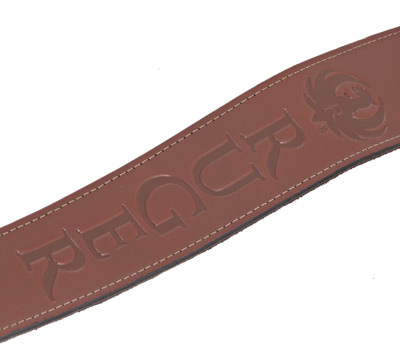 This veg-tan, non-oiled, leather sling features a suede lining, Ruger logo and fits 1" swivels. Made by Levy Leathers. Will it fit the Ruger Mini 14 Ranch Rifle? this is by far the best sling on the market very tough leather looks really nice put it on my Ruger M77 mark II fits perfectly. I guess its better than made in China. Looks great on my American Predator. I think It would look best on an M77 Hawkeye. This is really a quality sling. Excellent! 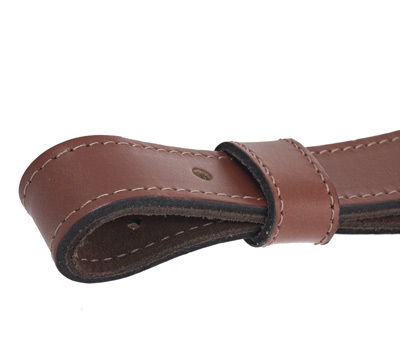 Nice looking leather and fits my Gunsite Scout Rifle! I love it! 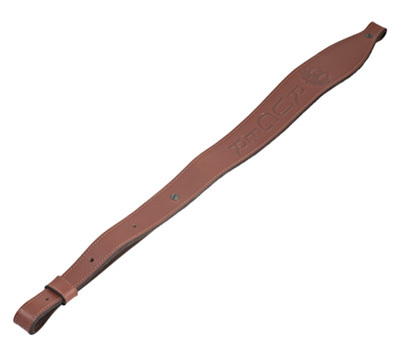 It is leather and is built durable to last awhile. I will purchase the Ching sling for RGS rifle and this will go to one of my Ruger Predator rifles. The color is nice and will fit any of my Ruger rifles.